If you're new to backpacking and you've done a short trip or two, you might be eager to try a more challenging hike. Maybe you want to do a longer trip and backpack for a week or longer. Or, perhaps you'd like to explore a place that's more remote and wild, such as a Wilderness area. If you're going to go big, you need to improve your backpacking knowledge and skills. As you hike more miles, tackle tougher terrain, and move farther away from civilization, you'll face more obstacles, and you and your hiking partners will have to rely on your own know-how to overcome them. Make this the year that you take your backpacking skills to the next level to travel more safely and comfortably. 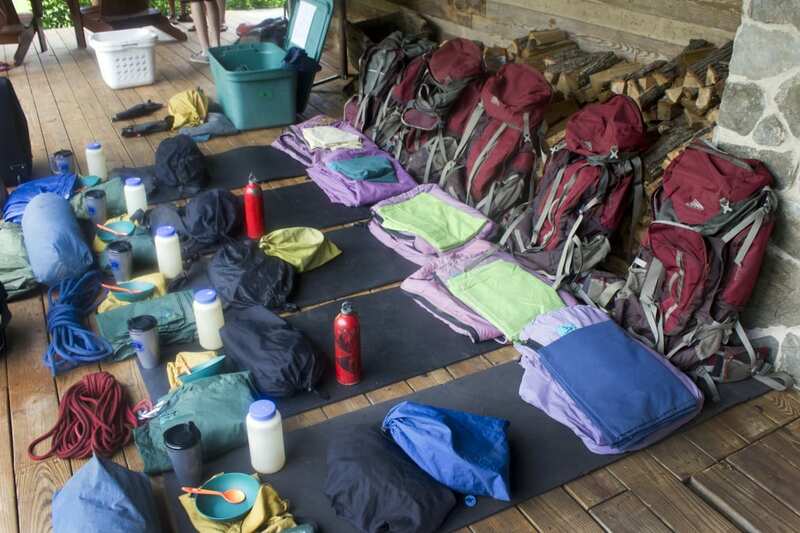 In our list of skills below, we begin with the basics—fitting and packing your pack. While those sound like simple tasks, a surprising number of people hit the trail with ill-fitting, unbalanced packs that lead to soreness and misery. Then, we move on to other things that will benefit backpackers—map and compass skills, knots, first aid, and building a fire. If you’re super motivated, you could possibly take on all of these goals in the coming months. But, even if you tackle just one, you might be surprised at how gratified you’ll feel from learning something new. A high-quality backpack can ease the burden of a heavy load on the trail, but it won’t do you much good if it’s not fitted and packed properly. 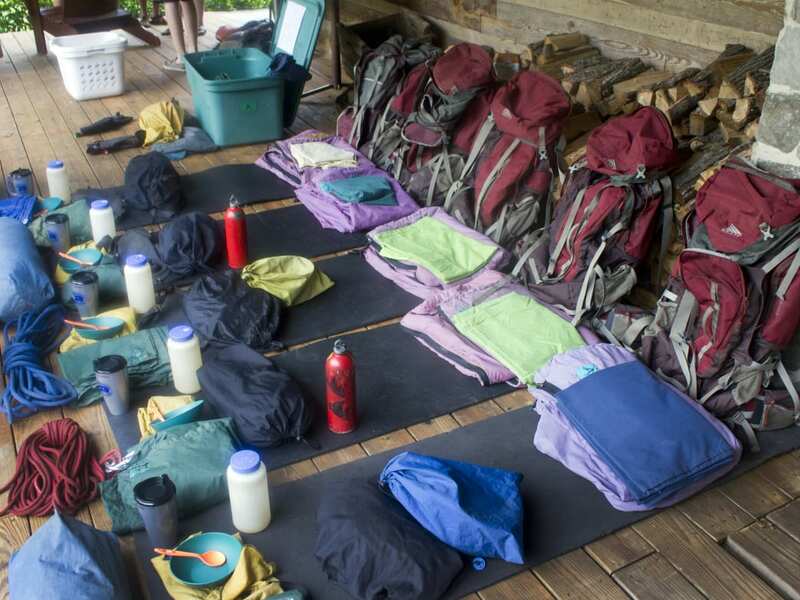 If a salesperson didn’t fit your pack when you purchased it, consult the manufacturers’ website or online videos for fitting instructions, and be aware that fitting techniques can vary by brand. You can also find helpful videos produced by specialty retailers. It’s important to make sure that the pack fits your torso length, and that you properly position the shoulder straps, load lifter straps, sternum straps and hip belt. To ensure that your pack rides comfortably, you also need to pack it correctly so that the weight of your gear is distributed well. Try to make sure that the heaviest things, like your food bag, lie close to your back and, if possible, centered on your back. Then, place lightweight items away from your back. You can also pack gear strategically, based on when you’ll need to access things. For example, put things you won’t need while hiking (like your sleeping bag) in the bottom of your pack. Then, put the things you’ll need frequently or immediately (like your map and toilet kit) in the lid or an external pocket. As smart phones and other devices make navigating easier, fewer people are learning to use a good ole map and compass. And that’s fine if you’re just doing a day hike on well-marked trails, where you’re not likely to get lost. But if you go into the backcountry, you could be in a tough spot if your phone or GPS loses battery power or gets damaged. So, make a resolution this year to learn the basics of map and compass navigation. With a little online research you’ll find plenty of instructional books and videos. You could also take a map and compass course at REI, or get instruction from another outdoor specialty store or recreation group in your area. Once you’ve learned the basics, practice using a map and compass in a local recreation area before you leave for a big backcountry trip. Keep in mind that you might be using these skills when you’re tired and frustrated (being lost can be nerve-wracking), so it helps to have this stuff dialed in. If you want to become the hero of your backpacking group, be the one who knows how to tie knots. On the trail, you can use knots to do a variety of things, from securing your tent to hanging a clothesline. Plus, knots will come in handy for other adventures, whether you’re tying into a harness to climb, or you’re securing a kayak to the shore. In your everyday life, knots can also prove useful. At some point, you might need to lash furniture to a vehicle when moving, and you’ll ride with peace of mind knowing that you didn’t just jerry-rig your stuff to keep it out of the road. Begin by learning a few knots that will come in handy frequently, such as the bowline, which you can use to attach a line to a fixed object. On the trail, you might use a bowline to attach guyline cords to a tent, or tie a line to a tree to rig a tarp. The advantage of a bowline is that it won’t loosen under tension. But, you can loosen the knot easily when it’s time to untie it. It’s also good to learn the taut-line hitch, because it allows you to create a clothesline, or an adjustable guyline for a tent. In an emergency situation in the backcountry, a fire can provide life-saving heat, a means to purify water, and a way to signal rescuers. Plus, survival experts say that a fire provides a sense of comfort and calm that will help you endure a tough situation. 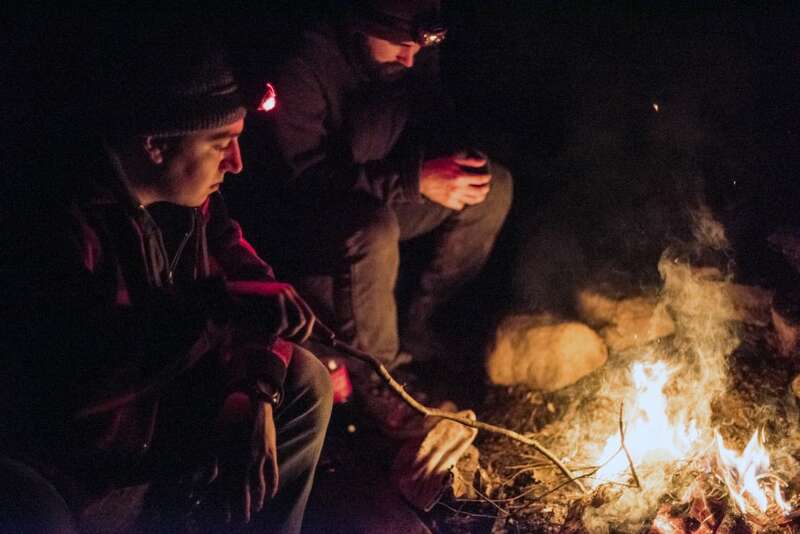 Even if it’s not an emergency, a campfire will make a cold night on the trail cozier. If you’re building a fire for the fun of it, ensure that fires are allowed in the area and that the fire danger is low. And, take time to learn the proper way to manage and extinguish a fire. If you’ve never mastered the art of building a fire, you’ll find plenty of tutorials online. There’s a certain method to successfully building a fire, and you don’t want to be fumbling around if you’re lost, cold and tired. Also, consider packing a fire starter kit, which will usually include tinder and tools to create a spark. The kit will serve as a backup if your lighter or matches don’t work, and you can get tinder that lights when wet. If you or a hiking partner is injured or gets ill during a backpacking trip, you could be miles or days away from professional care. If you do enough backpacking, you’ll someday deal with blisters, stings and maybe even burns. Plus, you or someone you encounter could get dehydration or hypothermia, or suffer some kind of wound, or an ankle or knee injury. If you purchased a first-aid kit from a gear store, there’s a chance it will include a small first-aid book, and you should take the time to read it. Plus, there are plenty of great wilderness medicine books on the market. But this year, go a step further and take a first-aid course. If you visit the American Red Cross website, you can find first-aid courses offered in your area. While some Red Cross courses are not outdoor-specific, they’ll provide helpful fundamentals.